Two Poppies - Simon Bull is a tapestry based on the exquisite floral works of Simon Bull. Here we see 2 Poppies in their rich shades of red, in a colorful background, so typical of the works of internationally renowned artist Simon Bull, whos works have been acclaimed widely for their evocative effects. 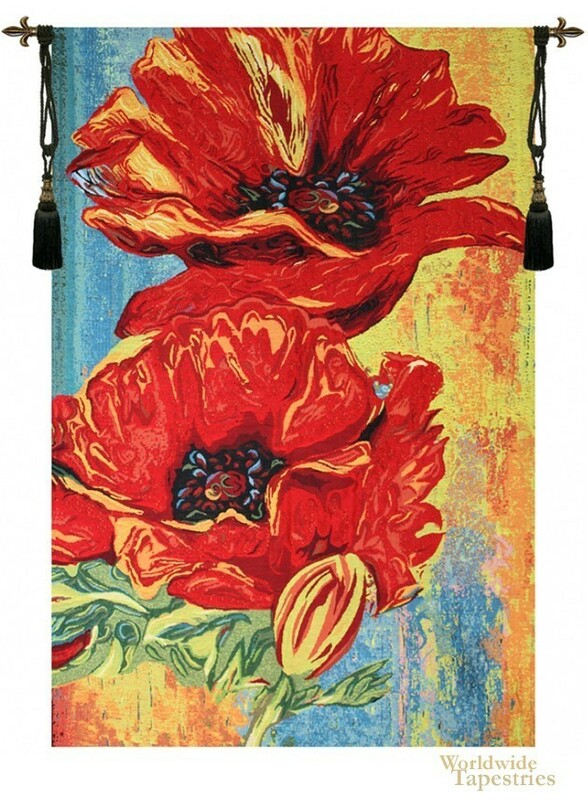 This modern floral tapestry Two Poppies is backed with a lining and a tunnel for easy hanging. Note: tapestry rods and tassels, where pictured, are not included in the price.